In high school, Tracy Heather Strain's grandmother took her to see a production of Young, Gifted and Black, a play drawn from the writings of Lorraine Hansberry. The young playwright's powerful interior monologue riveted Strain, who would grow up to become a celebrated filmmaker, and who hopes her new documentary about HansberrySighted Eyes, Feeling Heartwill spark the same wonder for a generation of students and activists. "I certainly was motivated by the fact that there wasn't a film about Lorraine Hansberry, and I thought there should be one," said Strain. "I think that Lorraine Hansberry has been someone that's been put on a pedestal as an icon, and she is an icon, of course. But when you think of an icon, they just have this glow of their success and it's very hard, I think for people to appreciate how she got there. For young people to understand what steps it took to get to the point that she's even writing a play...usually work that's good isn't easy. There's a lot involved, and it takes trial and error and tenacity." The same could be said about Sighted Eyes, Feeling Heart, which took Strain over 20 years to complete. At one point, the film was nearly four hours long, and Strain had wanted to have it nearly entirely narrated by Hansberry's eloquent opinions and reflections on historic events. Opting eventually to include contextualizing interviews, she recalled trying to balance subjects' availability with the amount of funding she had at the time. In the end, the documentary amasses an impressive array of people who knew Hansberry or were involved in A Raisin in the Sun's original production, including Hansberry's older sister Mamie, theater director Lloyd Richards, and actors Ruby Dee and Sidney Poitier. "We were trying for years to get Mr. Poitier to agree, and finally one day, I was in the train station in Boston, I get a call from his assistant saying they'll give us a fifteen minute interview, and I almost started crying," Strain remembered. "We ended up having a lovely hour-long interview with him." Poitier also gave the completed product high praise. "He really liked it. He said it needs to get out there," Strain said. Hansberry shared a South Side Chicago upbringing with the protagonists of "Raisin", and her childhood dominates the first section of the film. Her father, Carl Hansberry, was a successful businessman on Chicago's South Side: his untimely death when Hansberry was in high school was something she attributed to the stress of his constant striving against a discriminatory system. The Hansberrys' challenge to Chicago's restrictive housing laws would eventually become a Supreme Court case, and Mamie Hansberry remembers going into restaurants where the family knew they wouldn't be served, to ensure anti-discrimination statutes were enforced. "She was from this amazing family that had its consciousness really raised and was paying attention to the world," Strain said. "Her mother was very upset about Mussolini invading Ethiopia, and was very angry at the Pope. Think about that, you're a young kid and these are the things that are being bandied about." Her Chicago attitude helped Hansberry stand out when she got to New York as a budding activist and writer for Paul Robeson's Freedom Magazine. "When I interviewed the New Yorkers that knew Lorraine, they talked about the people from Chicago as being feisty," Strain said. "Chicago, because of the way things operated here, and the segregation on the South Side, during that time 30s, 40s, it seemed that this community...much of it was empowered to make change." 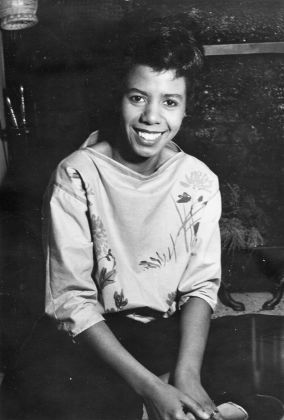 Hansberry married a white activist, Robert Nemiroff, and royalties from a song he wrote with his best friend allowed her to write full-time, eventually producing Raisin. Hansberry ultimately divorced Nemiroff, though they remained close, and pursued her interest in women. Using her married initials, she wrote letters to the lesbian magazine The Ladder in the 1950s. "I wanted to tell who Lorraine Hansberry was in all of her complexity," Strain said. "If we're telling a story of an artist/activist, a person who's trying to change the world in a variety of different ways. ... Most of what she was doing was public, but then there was this other part of her that she had to keep private. Yet she was still was an activist. It seemed like Lorraine, when she got into things, she analyzed everything. 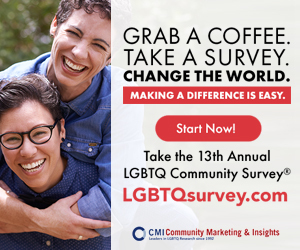 She wasn't happy to just be a lesbianshe had to discuss it and analyze it." While previous researchers had sometimes dismissed Hansberry's Ladder correspondence as potentially misattributed, Strain saw literal carbon copies of the letters, in addition to other material about her orientation. "It was really important for us to find in her own words her saying that she was, beyond just what was in The Ladder," Strain said. "She was happy to have a forum where she could write letters and discuss the situation in the late 50s." And LGBTQ history buffs will be thrilled to see a short interview with Edie Windsor, who socialized with Hansberry in lesbian circles, and whose childhood friend was one of Hansberry's first female partners. Hansberry's personal papers could sometimes be heartbreaking for Strain to read, such as when signs of the small intestine cancer that would eventually cause her death at age 34 became apparent in her diary entries before official diagnosis. Other times, they were illuminating. "I always wondered why Lorraine Hansberry wasn't at the March on Washington," Strain said. "Everybody she knew was there. We found this footage, that's not in the film, of Harry Belafonte talking about all the people that were going to be at the March on Washington and he named Hansberry." It turns out Hansberry was recovering from major surgery, and in the film Strain quotes Hansberry's commentary on the subject: "I'm being a good invalid at home watching the March." Strain says viewers might get the sense that for multiple reasons, Hansberry was perhaps lonely, "I think that she was so smart, it was hard to find peers," she mused. "And we know from James Baldwin's writings that he was a friend, but he was out of the country a lot. I do think that it was probably a challenging life." Yet the filmmaker's struck by the relevance of Hansberry's words and ideas, and her ability to be a multi-faceted role model. "I think like a lot of African Americans her story is full of hope and despair," said Strain. "I think that she was hopeful that people, at some point, could just be who they are. I think she really wanted to reach to all sorts of people. As she said, 'the human race concerns me'." Sighted Eyes, Feeling Heart will premiere on Friday, Jan. 19, at 9 p.m. on WTTW as part of the "American Masters" series.